"Rausgeschnittener Tumor" triffts vielleicht noch ein bisschen praeziser. Ich finde es relativ schwierig, die positive Aufmerksamkeit der letzten Wochen damit in Einklang zu bringen, dass ich mir wie vom Schuh abgekratzte Hundescheisse vorkomme. Bleibt ja eh nix anderes uebrig. An old-ish gif I just found in my (mostly abandoned) Myspace-account. 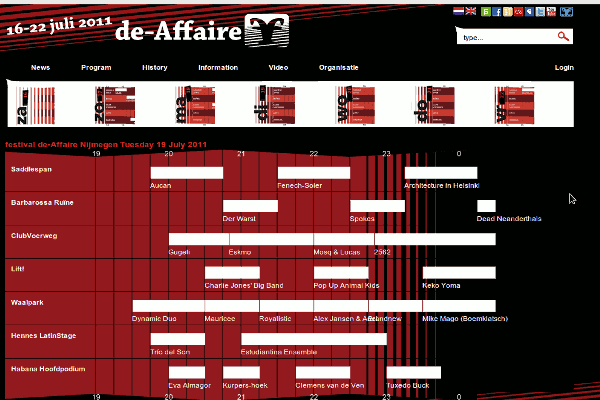 Playing at de-affaire in Nijmegen. Wheeeeeee! Still feeling kind of deflated from taking down the show (and all of last weeks antics), I have to start taking care about future endeavours. There's a few more applications to be written and I seriously despise Artist statements, so this is gonna be . Also, now that I suddenly have way more time on my hands than I can handle, I really need to think about doing that DVD for Hand baked records. I'll probably make some quick'n'dirty CD for Nijmegen, too.